Topics: Auto Transport, Services, Canada, Quote, and Payment. Its 2 nameservers are dns1.stabletransit.com, and dns2.stabletransit.com. It is hosted by Rackspace Hosting Texas, using Apache web server. 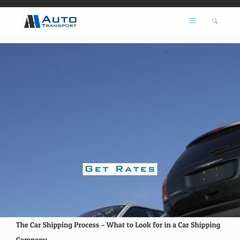 Aa-auto.com's server IP number is 50.57.47.45. PING (50.57.47.45) 56(84) bytes of data. A ping speed test response, is timed at 12.6 ms.